*Patient must mention this offer when booking the appointment. Where additional work is undertaken that is not part of standard comprehensive full mouth examination, an additional charge may be incurred. Offer cannot be used in conjunction with any other offer. Services will only be provided where clinically necessary and appropriate for eligible patients. Enjoy a complimentary Invisalign® consultation (valued at $95)^ to see if Invisalign® is right for you. Are you suffering from one of these symptoms? 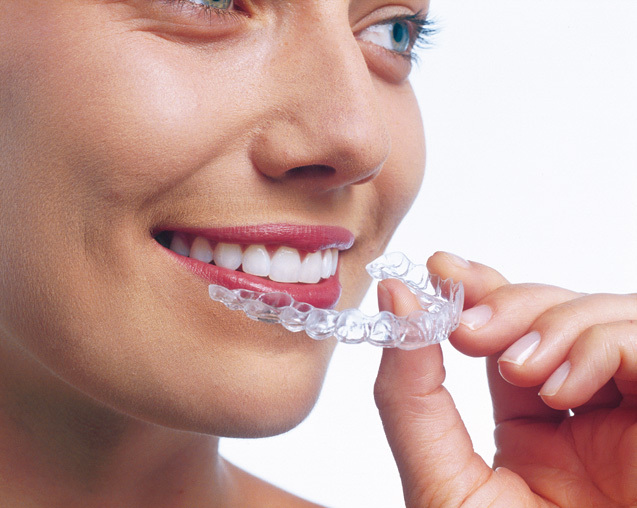 Invisalign® clear aligners can be a solution for you. The custom made aligners are virtually invisible and fit snugly over your teeth. Depending on your particular case, McKeefry Dental can determine if the Invisalign® treatment programme is appropriate for you. Enjoy a complimentary tooth straightening consultation (valued at $95)**. 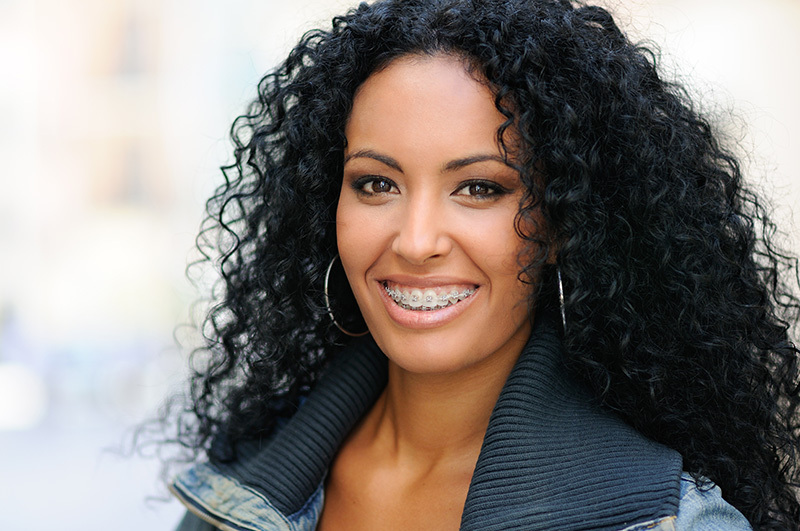 At McKeefry Dental we offer a range of orthodontic services including Dental Braces that can be the right solution for you. Our leading Braces use advanced orthodontic tools specifically developed by the ‘Progressive’ orthodontics programme. Book your free tooth straightening consultation today to find out what results might be achievable for you. **Patient must mention this offer when booking appointment with McKeefry Dental. Offer includes 1 x clinical consultation. Radiographs may or may not be required and taken at the clinic, please discuss radiographs with reception. Total cost of radiographs are at the patient’s expense of $150. Total cost for full course of orthodontic treatment varies, depending on a patient’s individual requirements. Offer is non-transferable and cannot be used in conjunction with any other offer. If, at the dentist’s clinical discretion, new x-rays or impressions are required due to a time lapse between an initial consultation and treatment commencement date, these will be provided at an additional cost. Please contact McKeefry Dental to discuss your eligibility for orthodontics treatment and what results may be achievable for you. Tetracycline stained teeth - resulting from taking this antibiotic while your teeth were still forming. Depending on your particular case, McKeefry Dental can determine if KöR teeth whitening is appropriate for you. Book Your Free KöR® Consultation Today. ~To be eligible, a patient must mention this offer upon booking. Patients may require a full mouth exam and an oral hygiene appointment before undertaking whitening treatment. Any dental services required prior to undertaking this offer will be at the patient’s expense. Offer cannot be used in conjunction with any other offer. Not all patients are suitable candidates for teeth whitening, and results vary for each individual. Please contact our clinic to discuss your eligibility for teeth whitening and what results may be achievable for you. Refer a friend today and get rewarded! Get $50 off your next appointment# when you refer someone to us. To find out more about our patient referral program talk to our front desk staff on (04) 473 7802. #Valid for existing patients only. The voucher can be used towards dental services only. This offer is not transferable and cannot be used in conjunction with any other offer. The referrer’s $50 discount is contingent on the referee booking and attending their first appointment with McKeefry Dental. Referrer will receive their $50 voucher via mail following the referee’s appointment. Referrer can redeem one $50 discount per visit. This offer can only be redeemed in a single transaction and any remaining balance after redemption is void. No balance will be paid in cash or credit for future services. Patients must present their voucher during the payment. The offer cannot be redeemed for cash. Services will only be provided where clinically necessary and appropriate for eligible patients. Not all dental clinics offer free adolescent dentistry. But we do! School students from year 9 through to their 18th birthday receive free dental care at McKeefry Dental. Not sure how that works? Check your child's eligibility for publicly funded dental treatment. Then enroll them as early as possible, so that you can arrange their first check-up with us. Gives us a call on (04) 473 7802 to discuss booking an appointment for your child or refer to the Ministry of Health website for full terms and conditions.